In 1959, Los Angeles Nagoya Sister City Affiliation was born as a part of President Eisenhower’s Citizens’ International Exchange Program. This year LANSCA is celebrating its 55th anniversary, a significant milestone for the first sister city of Los Angeles. But, we want 2014 to be more than the celebration of an anniversary. We want 2014 to be a turning point for LANSCA, to make a new LANSCA with new goals looking towards a new future. This is our pledge on this anniversary year. Nagoya is the capital of Aichi Prefecture in Japan. Aichi is a “manufacturing powerhouse” that has ranked number one in Japan for product shipments continuously for past 36 years. Aichi has also played a powerful role in Japan’s history, especially the “Period of Warring States” in the Fifteenth and Sixteenth Centuries when three great warlords from Aichi — Nobunaga Oda, Hideyoshi Toyotomi, and Ieyasu Tokugawa – unified Japan and ushered in the Tokugawa Shogunate that lasted over 200 years. This unique Samurai history and tradition can be found in Nagoya alongside the latest cultural trends in Japan, such Cosplay, which is an extension of the anime boom and is centered in Nagoya. 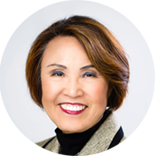 Our sister city in Japan is proud of the unique character where old and new cultures coexist. 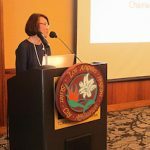 The goal of the new LANSCA is to return to the basics of its formation and introduce the people of Los Angeles to Nagoya’s rich personality and deepen their understanding of their first sister city. 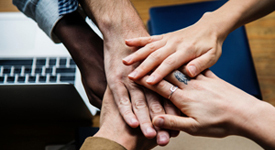 While there already exists a bond between the cities of Nagoya and Los Angeles, LANSCA will extend its reach and connect to leading organizations, companies, schools and individuals. 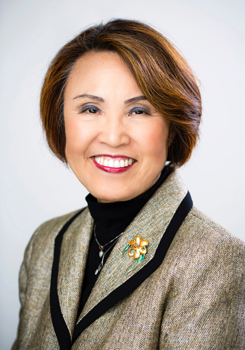 For this purpose, LANSCA will make efforts to widen the circle of people participating in the sister city program by urging Nagoya to strengthen the appeal of Los Angeles, its neighbor across the ocean, among its own citizens and encouraging the people of Los Angeles to experience the long-standing friendship for Los Angeles that can be found in Nagoya. 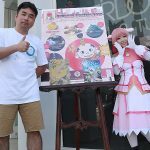 LANSCA’s first step in this new direction is to hold the first annual Nagoya Day festival at The Grove, a unique, high-end shopping mall in Los Angeles, on August 10, 2014. Mayor Takashi Kawamura of the City of Nagoya will attend to open the event. 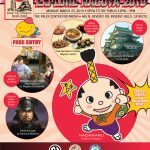 Nagoya Day will promote the culture of Nagoya and the charm of “Nagoya Meshi”, Nagoya’s unique cuisine, to general public of Los Angeles. 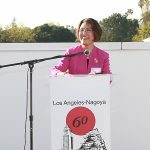 LANSCA also hopes Nagoya Day will encourage Angelinos to visit Nagoya and Nagoya residents to visit Los Angeles and, by increasing tourism, to expand the connections between the two sister cities. 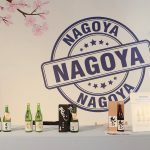 The success of the first Nagoya Day will depend on the interest which Angelinos and other visitors to the Grove show in the event. By all means, please come to The Grove on August 10th. We will introduce you to a Nagoya that you have never known.